Maria da Gandra is a graphic designer, and is the final year coordinator for BA (Hons) Graphic and Media Design at London College of Communication. Specialising in information design and typography, Maria has taught graphic and information design for the last 10 years at both undergraduate and postgraduate level. 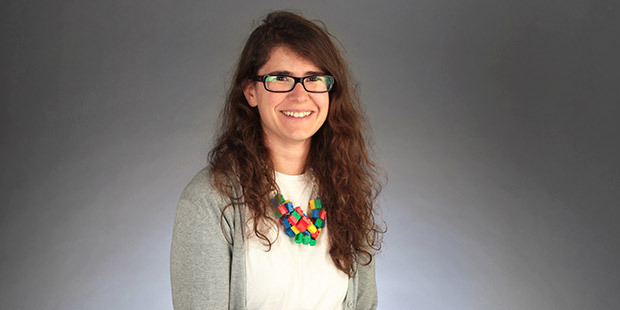 Before joining LCC, Maria was the lead tutor for Information Design at New Design University in Austria, where she was also joint Course Leader for the Information & Spatial Design Master’s degree. Before that, she supervised first- and second-year Information Design students within the Communication Design Master’s degree at Central Saint Martins for five years. In addition, she taught in numerous other institutions, including the University for the Creative Arts at Farnham, Sint-Lukas Brussels, Ravensbourne London, and Tsinghua University Beijing, China. Maria’s practice-led research draws from her information design expertise as well as from multi-disciplinary and pedagogic methods. The areas of research that engage her are varied – from the impact of political science theories in methods of research, process and output within information design, to the potential of information visualization for understanding and representing aspects of alternative academic history. She is the co-founder of InformForm, an international platform for information design that celebrates and explores both practical and theoretical experimentation within the field through dialogue and knowledge exchange. Current projects include the WMI online encyclopaedia, a comprehensive visual and interactive dictionary of musical instruments from around the world, and a collection of specialised maps which can be used to explain the relevance of numbers and cyclic time history in the architecture and planning of towns in Portugal. Maria has co-authored a number of publications and her work has featured in various magazines and publications, including Eye Magazine and Creative Review. She has also presented at conferences and symposia both nationally and internationally, including the International Conference on Typography and Visual Communication (ICTVC), Shapeshifters and VISUALIZEDio.